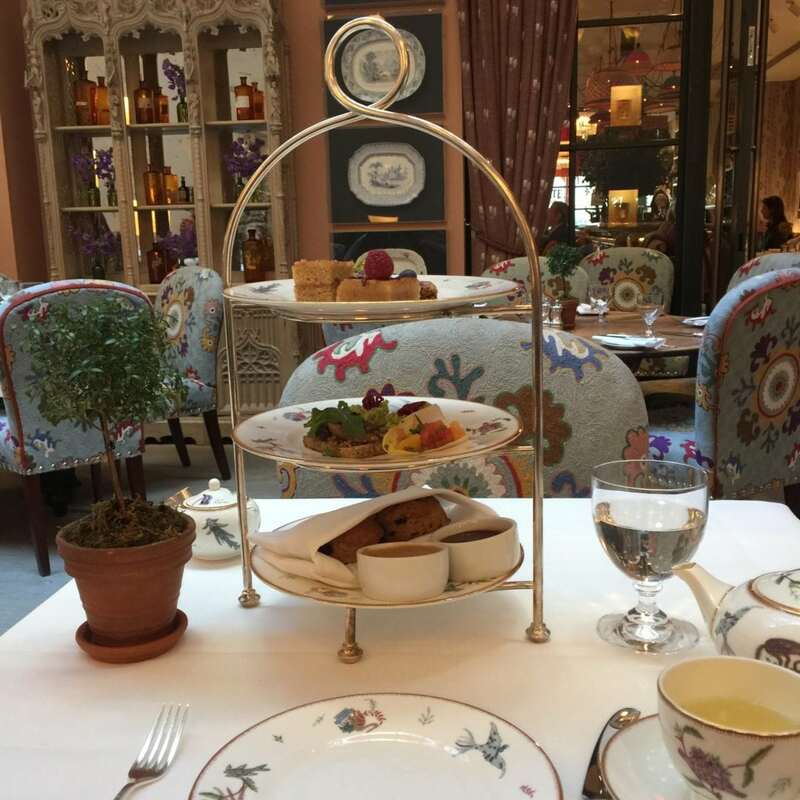 How many of you’ve had high tea at the Whitby Hotel in New York City? If you’ve never been, put it on your list of things to do the next time you’re in the city. 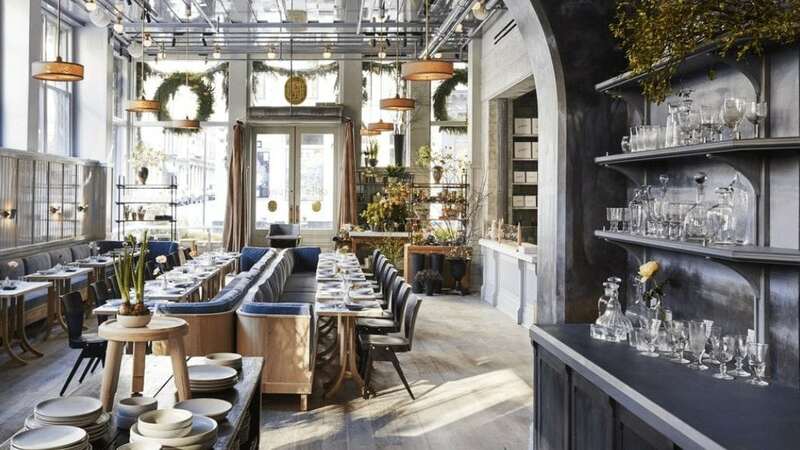 Many of the patrons are familiar faces who’re uber chic and discreetly seated at corner tables. Since my lunch date had to cancel, I went alone and incognito as my fashion icon, Rene Russo’s character in The Thomas Crown Affair. Many women wouldn’t dream of going somewhere, alone, especially someplace chichi like high tea at the Whitby, but go girlfriends! My husband died seven years ago, so I’m used to doing everything alone, even traveling to other countries. Yes it would be nice to have someone with us, but to deny ourselves a fun experience is in essence, sentencing ourselves prisoner in solitary confinement. Even if you’re uncomfortable with the idea, make a deal with yourself to eat at a five-star restaurant. Alone. Without a book. Enjoy the atmosphere, the food, the people watching or make friends with the waitstaff, and if you get uncomfortable–I promise no one else is giving you a second thought–focus on your food or something on your phone. I wouldn’t have missed the Whitby’s warm scones with cashew butter—as smooth as a baby’s behind–for anything! The Whitby is a colorful, sophisticated celebration of contemporary art and design combined with classic European elegance. I love textiles, old and new, so I wanted to see the embroidered, dining room chairs. The bold, sophisticated patterns and the intricate workmanship took my breath away! 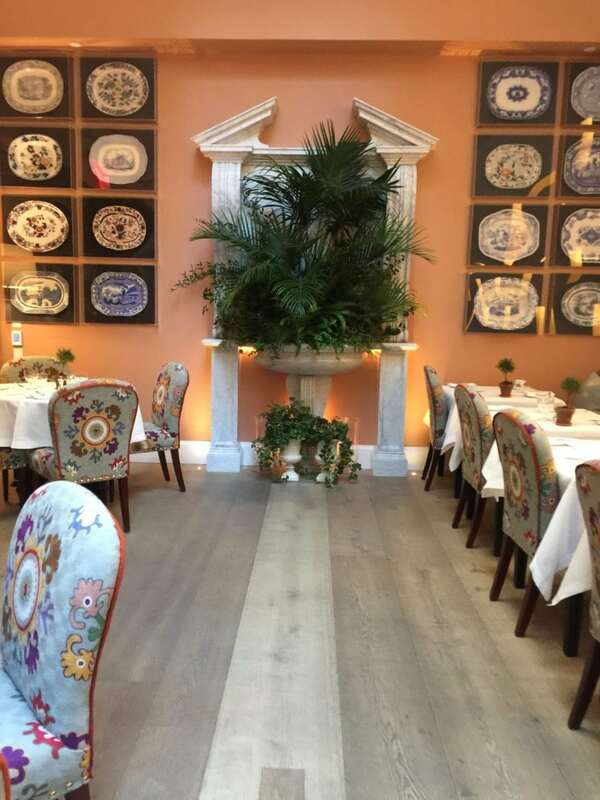 Whether it was the embroidered, padded fabric columns in the restaurant, the stunning embroidery on banquets, pillows and dining chairs or the mixed media painting in the lobby, the Whitby made my heart sing. On my way to the Whitby, who should I spy while waiting for the light to change at Madison and 56th, but iconic makeup artist, Sandy Linter. Talk about chic! Sandy was wearing a “chubby” silver fur—real or faux I don’t know—but we met in the middle of the street, going opposite directions and had time for an air kiss and a hello! That’s the second time I’ve run into Sandy on the streets of New York. The first time she joined me for lunch at a quaint neighborhood restaurant not far from her apartment. Another place to try in New York City—alone or with a friend—is Roman and Williams Guild at 53 Howard St. in Soho. 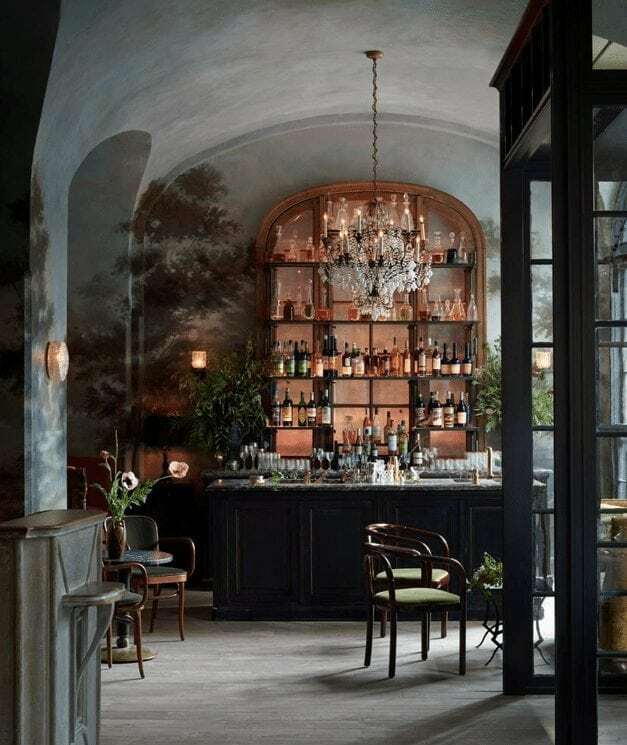 Recently opened by husband and wife designer team, Robin Standefer and Stephen Alesch, the Guild’s La Mercerie serves classic French pastries and breakfasts, an all-day menu and cocktails. The rest of the 7,000 square-foot site has a flower shop by Emily Thompson, a furniture store that celebrates quality and craftspeople, a library stocked by the publisher Phaidon, plus it’s the best place to while away three or four hours like Carol Dietz and I did. What a fun place to get to know the fashionable, former Art Director at the New York Times. Whether it’s high tea or going to the movies, don’t be afraid to go somewhere alone. You never know who your next-door table mates will be. Remind me to tell you about sitting in a little restaurant alcove next to Billy Joel and his wife! But I also enjoy from time to time the company of friends and family. Brenda I visit NYC every year with my mom and sister. Can’t wait to try the Whitby for high tea next time. As far as dining alone, I have no problem with doing it. I love doing things by myself. The Artist´s Way recommends we have an artist´s date all alone at least once a week. I live for those moments. Thank you for sharing. I have never traveled alone, but it’s on my bucket list. I’m married and love traveling with my husband, but to take off alone across the country stopping when I want and writing when I can would be amazing. Okay…now you’ve inspired me. I’m going to get dressed up and go for lunch downtown, somewhere cool, and interesting. I remember when I first retired from teaching, my husband was ill for months, diagnosed the day after my retirement party, so my first months of “freedom” were stressful and not fun. But the next fall, I took myself down to the historic area of our city, ambled around, explored small courtyards I’d never seen before, bought a coffee, sat in a cobbled square sipping it and writing in my journal. “This is what I thought I’d be doing when I retired,” I said to myself. And never did it again! So…this time…maybe it will be lunch. Thanks, Brenda. I’m glad I could help you resurrect some old plans and ideas, Sue! I also love going into interesting stores that usually don’t call my name because I’ve met the most interesting people and walk away with new perspectives. You’re definitely a travel pioneer!! I always go to movies by myself, and frequently eat lunch alone. I call it “ ME Time”! Beautiful post! I love going places alone. I call it a “self date,” and I’ve been doing this since the 70’s. I don’t plan to stop any time soon! I also go out on my own everywhere. Have no problem whatsoever. And I even have a joke: not only I can pay for my dinner and my drink, but at over 50 no man will think that I am there to pick up guys haha which I am not!!! You’re a hot woman over 50… If you’re sitting at the bar, I’d imagine men try and hit on you. 1010 Park Place haha thanks…. but I’d never seat at the bar alone… i always seat at the restaurant. Brenda….thanks so much for sharing! Hubs semi-retirement takes us to many small towns. While he works…I’m on my own….for many enjoyable adventures. People watching! Is a favorite…along with art journaling. Brenda, these photographs are fabulous! What gorgeous places! I enjoy doing things alone and my fave thing to do alone is to go to the movies. I can hunker down in the seat with my Junior Mints and totally let the movie take me away. The Whitby is divine! I will put a visit there on my to-do list when I am in NYC again. Your photos are beautiful. I have never had a problem dining alone. I have traveled alone on vacation several times and that can be a wonderful experience because it’s so easy to meet people every where you go. I’ve been married for decades, but still occasionally go off on a jaunt on my own. Refreshing! I CAN HANDLE THE ALONE DINING!NO PROBLEM! This TEA HOUSE looks SUBLIME……………..
OH New York……….will I EVER SEE YOU AGAIN?!!!! I’ve invited people dining alone to join me. What are your thoughts on that?? Is it too bold?? Also, I’d forgotten that Firmdale has hotels in NYC! Gotta go! Their hotels in London blow me away. After 29 years of marriage and 3 years alone, I’ve become accustomed to solo life. While I love my friends, there’s a freedom that’s empowering with being single. I recently drove from Portland to San Francisco and on to Sonoma – all while listening to the music I wanted. From drinks at the Fairmont, an evening visiting SFMOMA, cooking classes in Sonoma and wine tasting, I had and amazing time and met wonderful people I wouldn’t have if I hadn’t been alone. I even had a couple ask if they could join me at dinner since I was having way too much fun alone talking to the waiter. My friends call me courageous for being adventurous on my own – I call it living life!